Home » 1994 World Cup , Ann Arbor , detroit , Detroit City FC , Major League Soccer , Michigan Stadium , MLS , Pontiac » Has Michigan Made Its Case For An MLS Team? Has Michigan Made Its Case For An MLS Team? Surely the numbers are extremely impressive, and especially when compared to the twelve thousand that showed up in Minnesota to watch Inter Milan and AS Roma, or the ten thousand that came out to BMO Field in Toronto to see AC Milan take on Olympiacos, it seems that Michigan may just be a soccer state after all. Ann Arbor is about 45 minute drive away from Detroit, but it is not the only place that has successfully hosted a soccer match in Michigan. 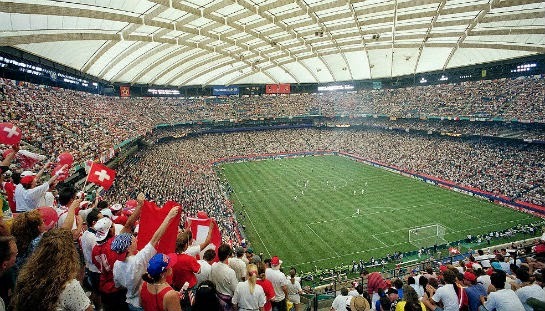 During the 1994 World Cup in the United States, the Pontiac Silverdome in Pontiac, Michigan which is about 30 minutes outside of Detroit, was home to four World Cup matches, in which the lowest number in attendance was well above sixty thousand. Attendance aside, Michigan is a sport state. With a team in each of the big four North American sports and the fanatic popularity of college American football the state does seem to enjoy sporting events, but the big question is: could this translate to football (soccer)? Currently the state of Michigan has a few teams participating in the National Professional Soccer League, which is the fourth level in the American soccer pyramid. 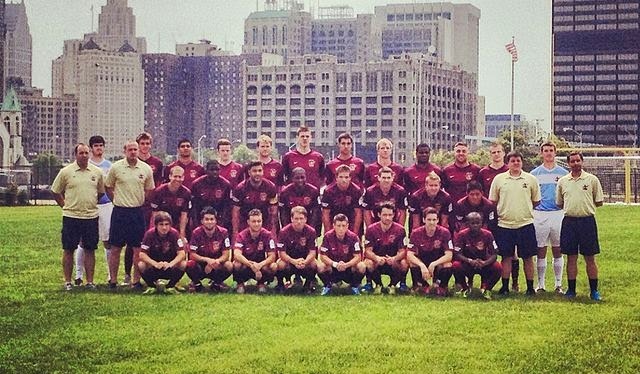 The city of Detroit is represented by Detroit City FC, playing at a 3000 people capacity high school stadium. The other two squads are Michigan Stars FC which are within the parameters of the Metropolitan Detroit area and Lansing United from Lansing, Michigan, about an hour and a half drive from Detroit. Of course the interest in fourth tier soccer is not vast, so in order to assess the possibility of MLS soccer in Michigan, other things have to be considered. 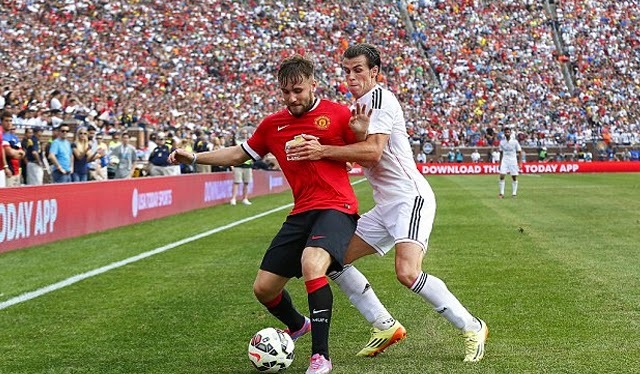 The average attendance in Major League Soccer was at about eighteen to nineteen thousand people per game last season. Can a team in Michigan bring in league average attendance to its stadium? 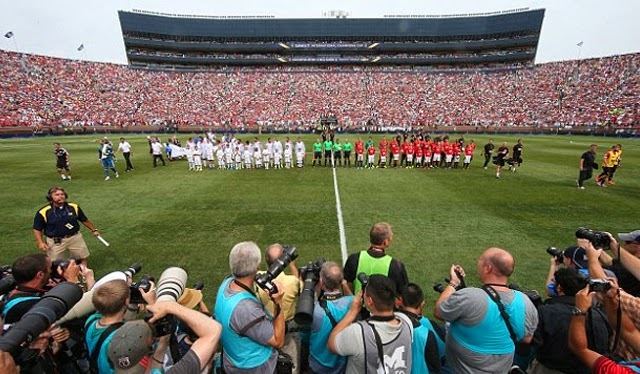 Sure they can bring out over one hundred thousand people to watch Manchester United on a one-off occasion, attendance that was surely comprised of people who travelled specifically for this match from all over Michigan the United States in general and even Canada. But how many locals would come out to watch soccer every week? Detroit’s population over the last fifty years has dropped drastically from about two million in the 1950’s to just under seven hundred thousand with the economic collapse and more importantly the downfall of the Michigan auto industry. But the average attendance of the other major sports in and around the city is not suffering, with the Red Wings, Lions, Tigers and Pistons still managing to bring in respectable numbers through the gates. And even Detroit City FC had managed to pack over three thousand supporters into its high school stadium for a league match this year. With Chivas USA, San Jose Earthquakes, FC Dallas and the New England Revolution all averaging between ten to fifteen thousand spectators per game, it is easy to assume that Detroit could do the same. And while there are a few cities on the list of “potentials” well ahead of “Motown”, Detroit should probably be considered by the MLS commissioner and potential owners going forward.